This Thornton stunner belongs in a magazine!!! This 3 bed, 3 bath, 2712 Sq. 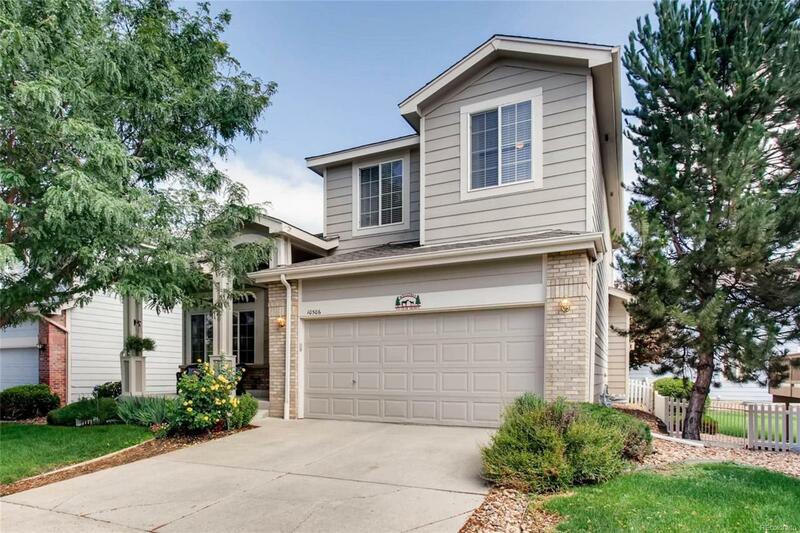 ft home in Colony Glen is beaming with natural light, an open floor plan, high ceilings, and all the upgrades to make this the perfect home for you. High end appliances, solid slab granite counter tops. Spacious bedrooms upstairs with an unfinished basement to expand to your liking. Composite deck out back with great shade to enjoy the beautiful Colorado weather. This home truly shows Pride of ownership. A short walk away from Carpenter Rec. center and the light rail station (opening 2019/2020). This home won't last!!! Come see it today!Roof was replaced less than 3 years ago, AC recently services and repaired. Offered by Black Label Real Estate.